Archie's Weird Mysteries :: Show Information :: RabbitTV GO! The most recent attempt to bring Archie to the small screen, this show revolved around a school newspaper column written by Archie, appropriately dubbed the title of the show. 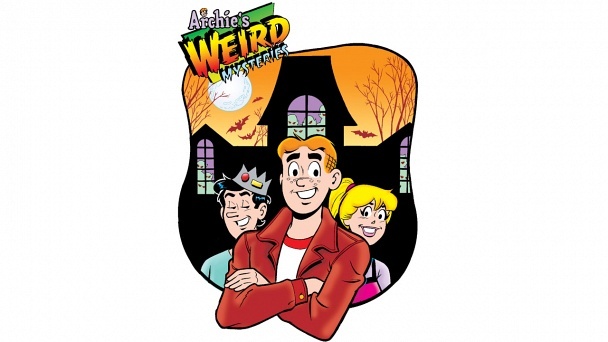 As Archie writes about the mysteries of the universe, weird things keep happening in Riverdale, and it's up to the gang to solve each dillema as it happens. The show's cast, discluding the regular adults, is mainly limited to the primary five Archie characters (being Archie Andrews, Jughead Jones, Betty Cooper, Veronica Lodge, and Reggie Mantle), and employs Dilton Doiley whenever there is need for the help of a genius. Other Archie teens who have made appearances on this show have been Moose Mason, Ethel Muggs, and making their first appearances (finally!) on any Archie show, Midge Klump, Chuck Clayton, and Nancy Harris.